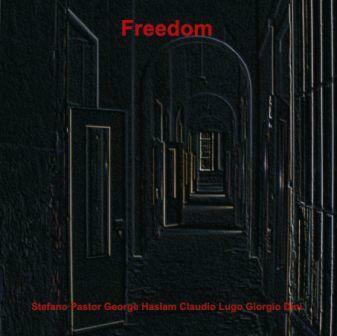 SR1001 - STEFANO PASTOR: "FREEDOM"
This project is witness of the artistic growth of Stafno Pastor, also confirmed by the many reviews he got (for instance, his duo CD with Borah Bergman by “All About Jazz New York”) and above all from the excellent ranking on Top Jazz 2009, with votes from the italian critics. This music has a clear reference to Free Jazz form the sixties, here performed with freshness in a modern key. A SILTA RECORDS & SLAM PRODUCTIONS JOINT PRODUCTION!